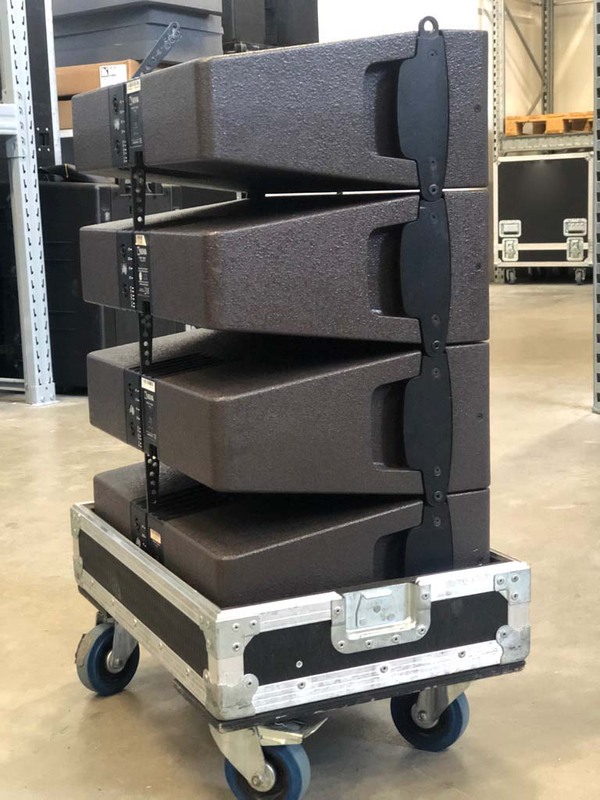 Sold in lots of 4 including flight case. Price is for single KIVA module. Flying bumper and amplifiers also available, ask for quote. L-Acoustics KIVA is the main element of a modular WST line source with variable curvature. The KIVA loudspeaker enclosure is based on a 2-way passive design with a nominal impedance of 8 ohms. It features two 6.5″ speakers in a bass-reflex tuned enclosure and a 1.5″ diaphragm compression driver coupled to a DOSC waveguide. The transducers are implemented in a V-shape configuration. The cabinet is made of a unique composite material with remarkable acoustic properties, very similar to the ones of the Baltic birch plywood, and with the added benefit of a high immunity to moisture. A 3-point rigging system is integrated into the cabinet. The KIVA operates over the nominal frequency range of 80 Hz to 20 kHz. This response can be extended down to 50 Hz with the dedicated KILO extension or 40 Hz with the SB15m subwoofer. The DOSC HF waveguide generates a symmetric horizontal coverage of 100°. 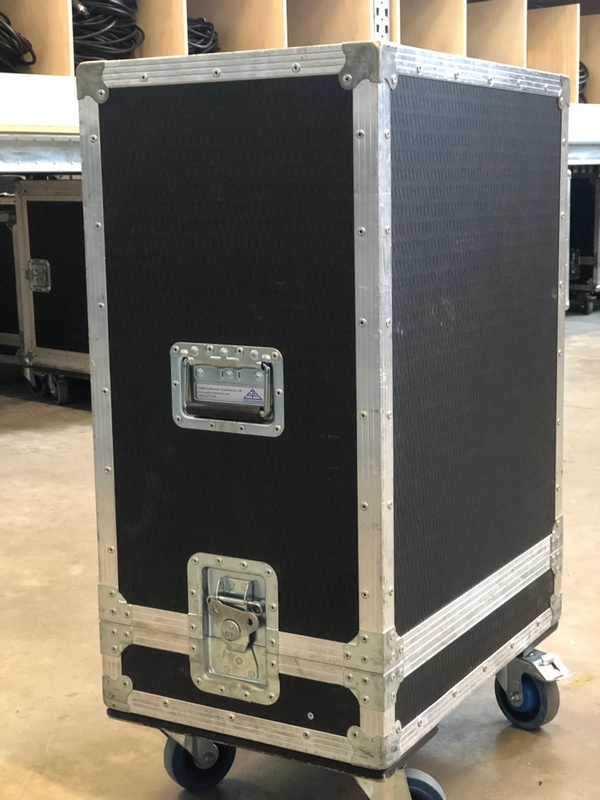 The KIVA rigging system allows vertically assembling the enclosures with various interenclosure angles, up to 15˚, therefore constituting a line array with variable curvature. The combination of the coplanar symmetry and the DOSC waveguide in the HF region ensure a perfect acoustic coupling between the elements of an array. The WST (Wavefront Sculpture Technology) criteria are fulfilled, so that such an array can be qualified as a true line source. Any WST line source provides a smooth tonal response and a coverage that is free of secondary lobes over the entire frequency range. The KIVA is driven and amplified by the LA4 or the LA8 controller. 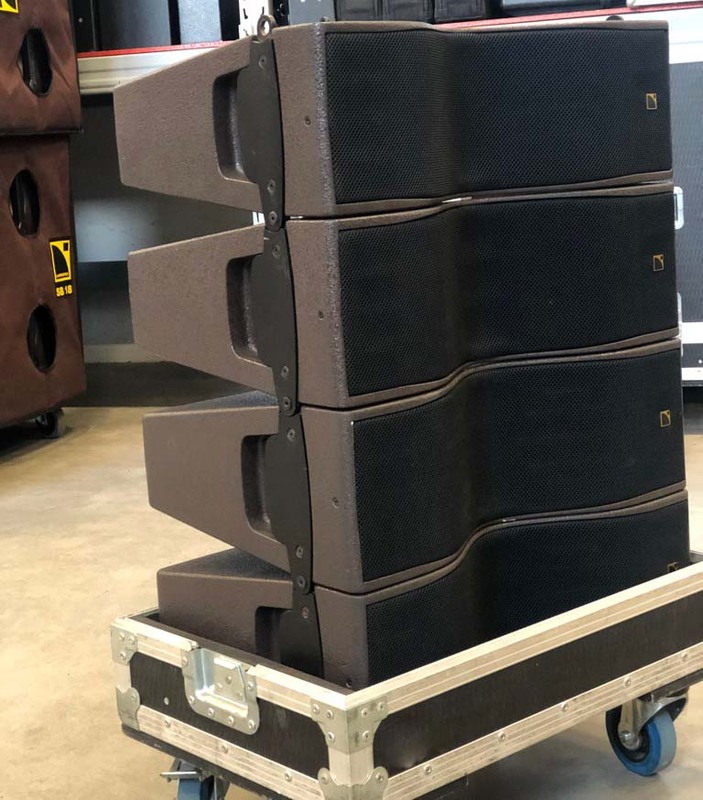 These ensure linearization, protection, and optimization for the loudspeaker system.